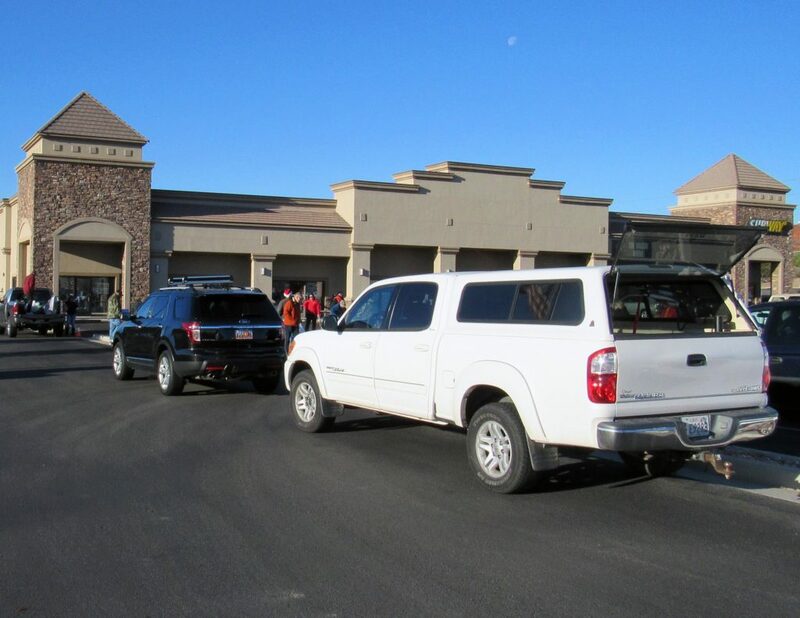 ST. GEORGE — Members of the Utah Dixie Detachment 1270 Marine Corps League and Toys for Tots volunteers assembled bright and early Saturday morning and loaded cars, trucks and SUV’s with holiday toys that would soon make their way to needy children throughout Washington County. 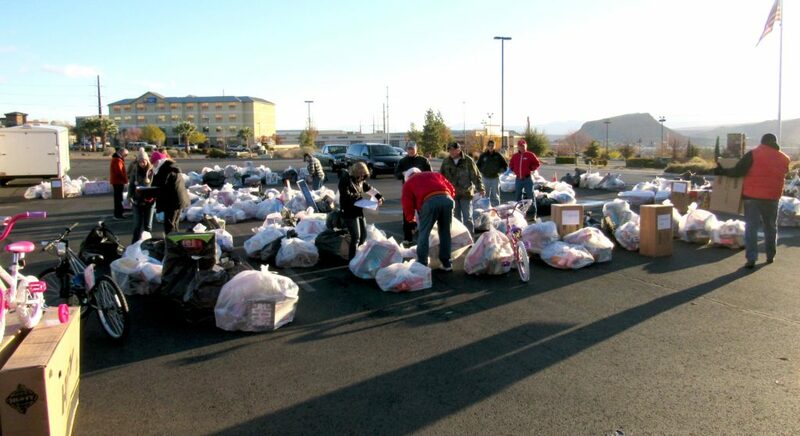 Thanks to the local Toys for Tots program and the Utah Dixie Detachment 1270 Marine Corps League, more than 950 children in 350 families will enjoy gifts on Christmas morning, children who may otherwise have gone without, Toys for Tots program coordinator and retired U.S. Marine Gy Sgt. Rick Massey told St. George News in an interview Saturday evening. 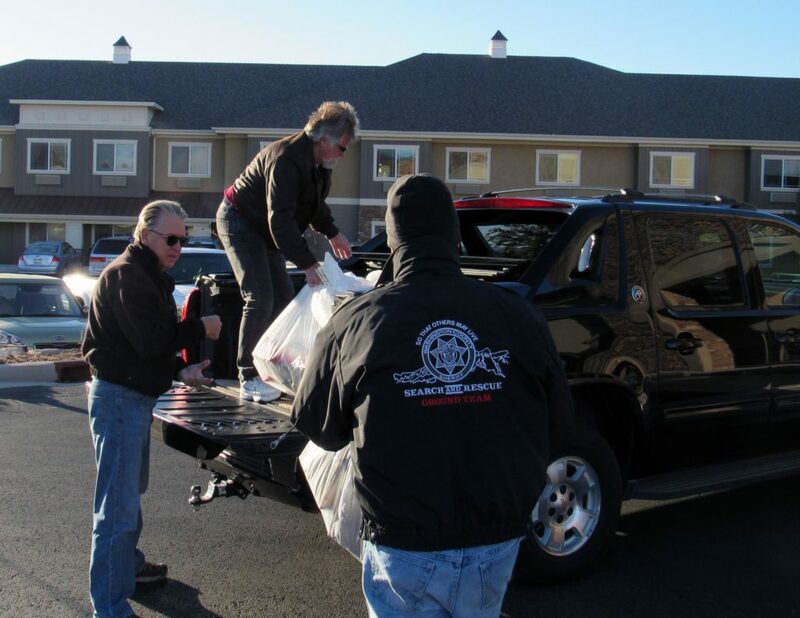 On Saturday the Marine Corps League set out in numerous trucks, cars and SUV’s to deliver toys to children from one end of Washington County to the other – and even beyond – on one of the program’s biggest days of the season. 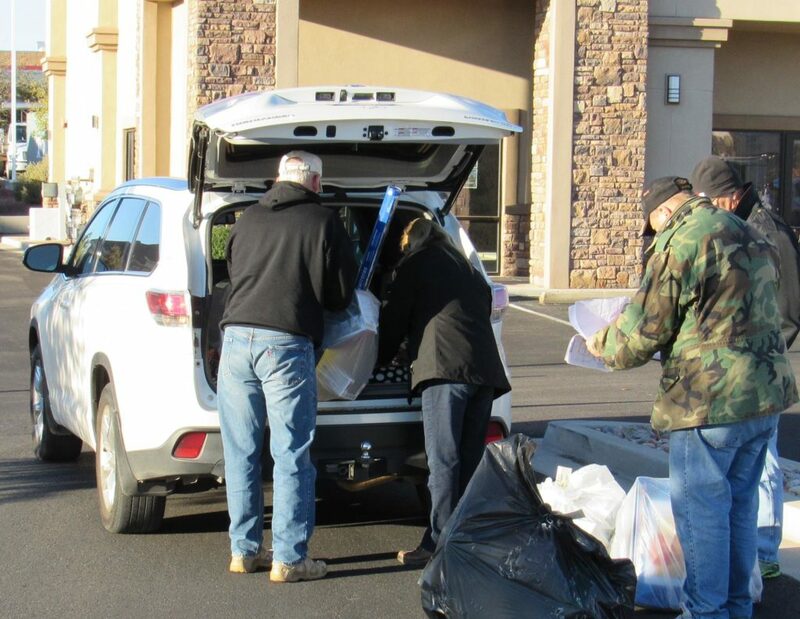 Since the beginning of November, thousands of toys have been donated by communities all over Washington County and Southern Utah, retired Marine and public information officer for the detachment, Bill Fortune, said. Toys were collected, bagged and sorted to ensure that thousands of local children will have something waiting for them under the tree. On Monday the team will begin the verification process for the families that submitted applications within the last several days, Massey sad, and once that process is complete the team will select and package toys and other items that will then be delivered to the children before Christmas morning. Days prior to Saturday’s deliver the toys were gathered into huge plastic bags and tagged with the name and addresses of the families requesting them, he said. 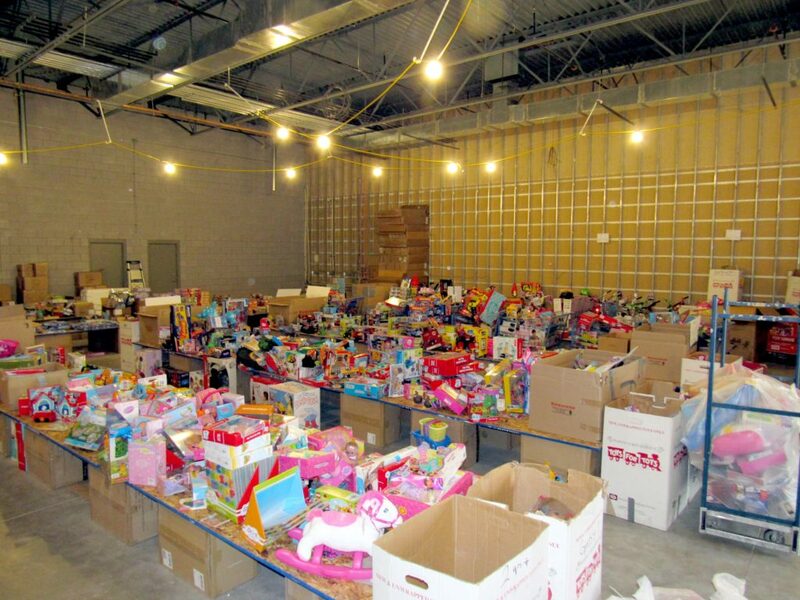 The gathering process is made easier by the way the warehouse that stores the toys is organized. The toys were separated and displayed by category and age, which made the process of bagging and labeling more efficient. 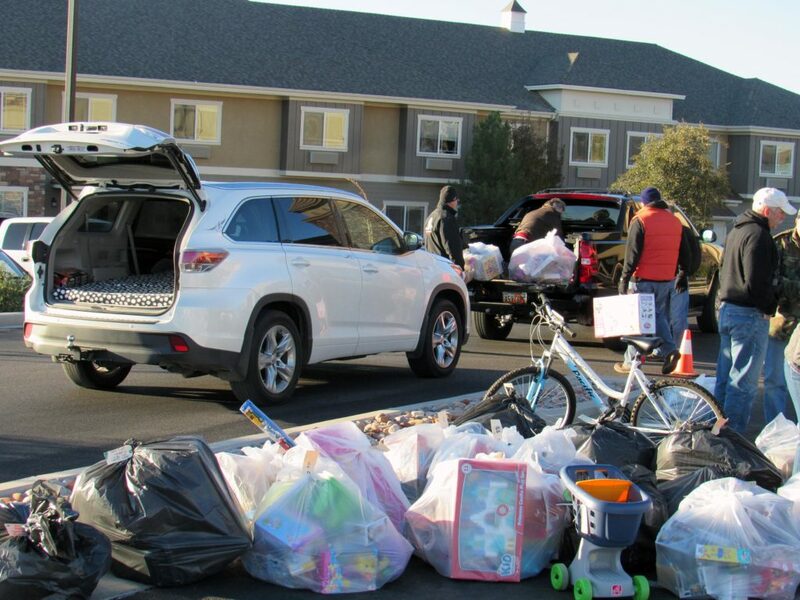 Last year in Washington County, 13,000 toys were collected and distributed to 3,416 children. This number included those in organizations that benefit from the Toys for Tots program, Massey said, such as the Learning Center for Families, the Soup Kitchen at Grace Episcopal Church, the Shivwits Indian Reservation and toy drive, Kony Coins for Kids and others. 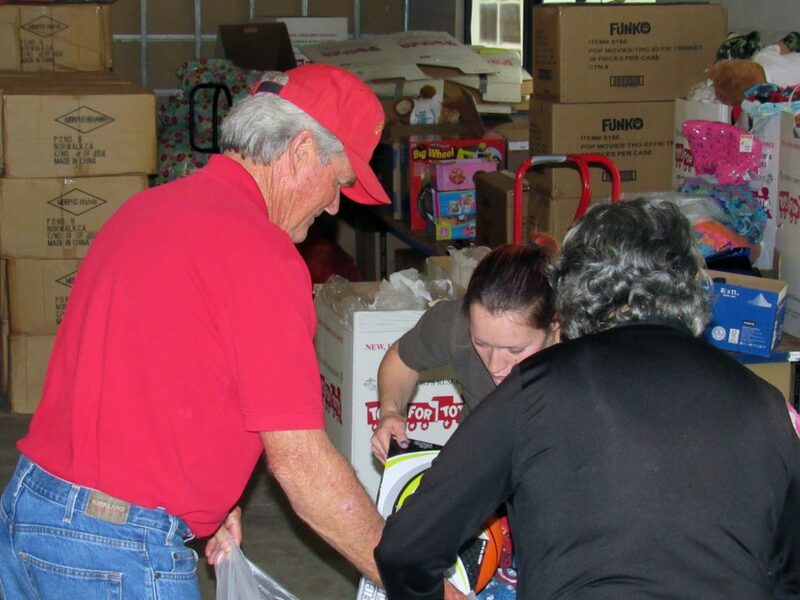 One of the events supported by Toys for Tots is holding a Christmas dinner that will take place at the Dixie Elks Lodge on Christmas Day, Massey said, which is sponsored by volunteers at the soup kitchen through the Episcopal Church, and Toys for Tots is providing gifts for the children during the festivities. 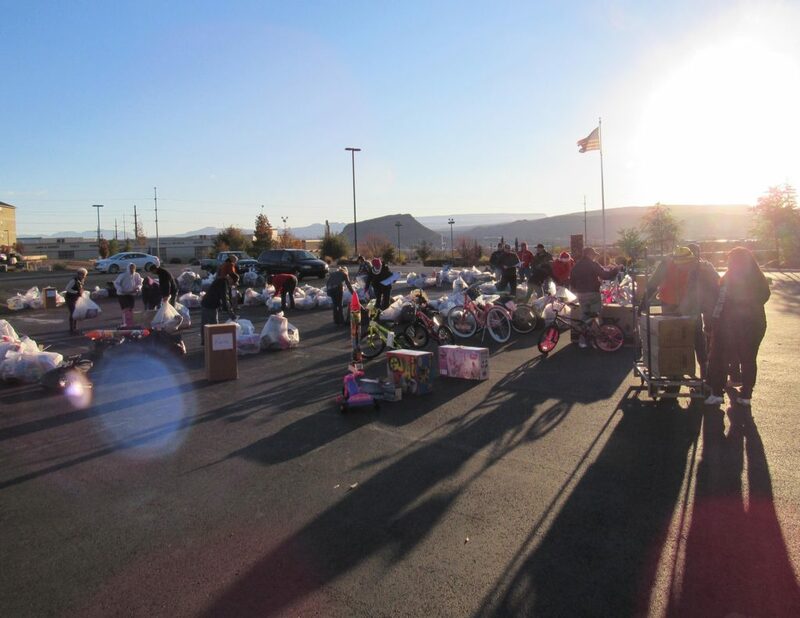 Toys for Tots is a national program that started in Los Angeles in the 1950s by the U.S. Marine Corps Reserve. The program collected and distributed 20 million toys to 9 million less fortunate children in 2015 alone. 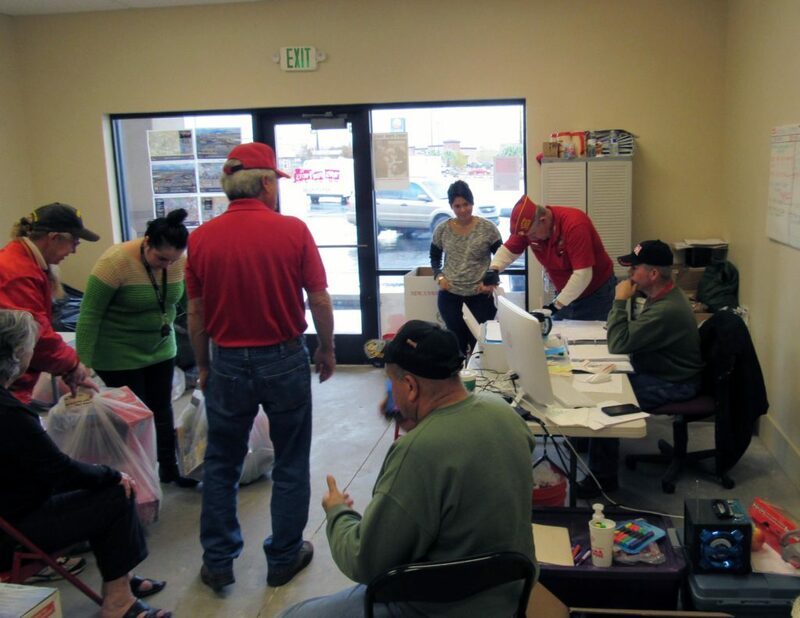 This community action program took place in 782 communities covering all 50 States, the District of Columbia, Puerto Rico and the Virgin Islands. This is absolutely fantastic news and I’m sure this will result in a positive reaction from the community. this is an example of the wonderful and caring people we have in the community. If people made better choices there would not be so many needy children. It is great we have a community that gives and cares but how many of the recipients are just taking because it is easy and free? It’s not like people don’t know Christmas is coming. Think-plan-act. Besides, are we saying we only care about these tots at Christmas? The rest of the year we don’t care if they go without? That right there is the question, isn’t it. After 2 years of delivering Christmas gifts to needy children, I can say that the excitement of the children and the relief and gratitude on the parents faces showed just how much it matters to give without judging.